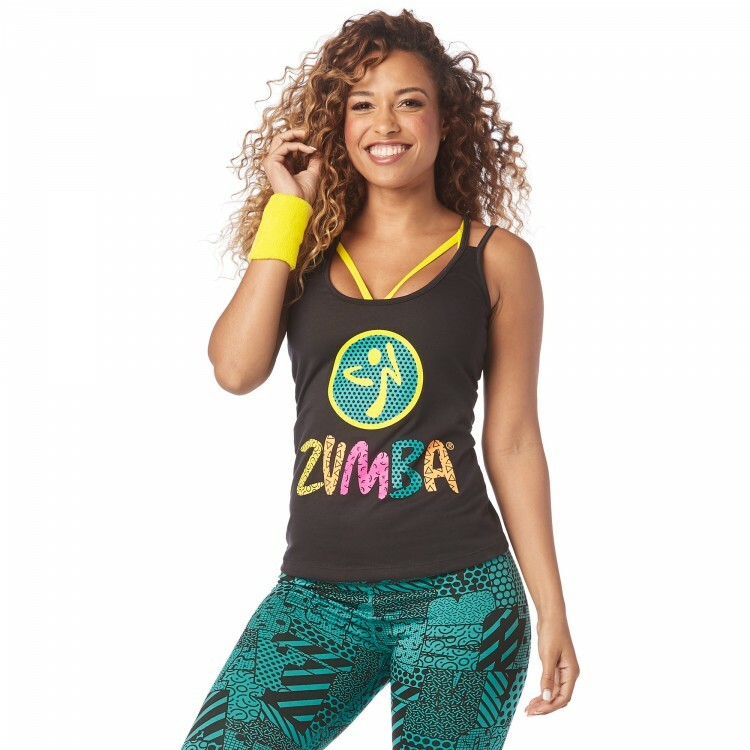 Happiness hustler on the scene. 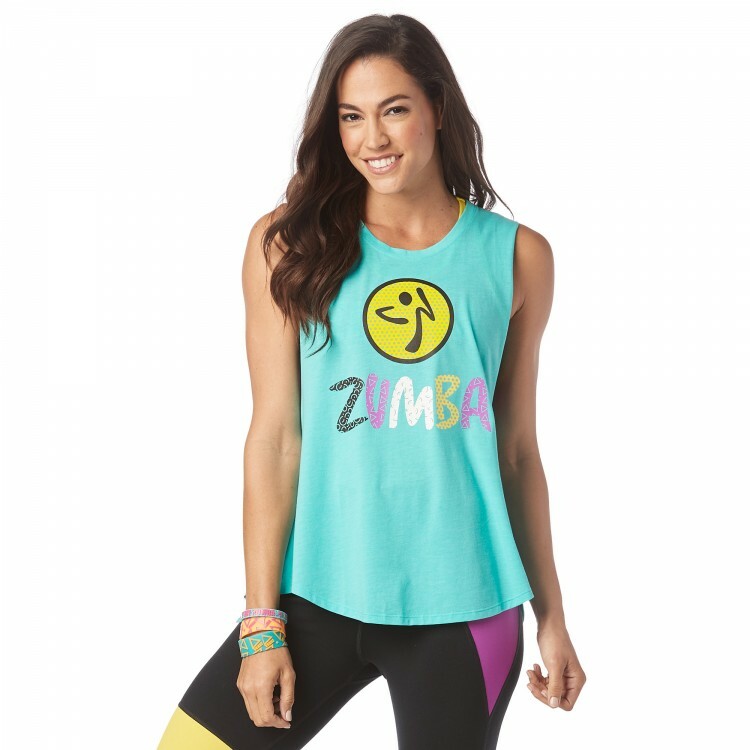 Get into a positive state of mind with the Zumba® Happiness High Neck Tank! 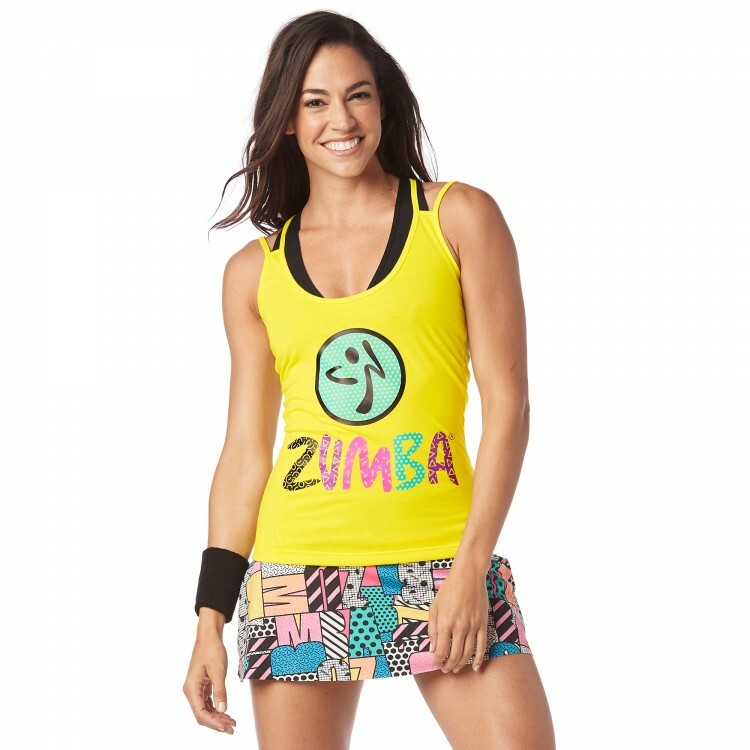 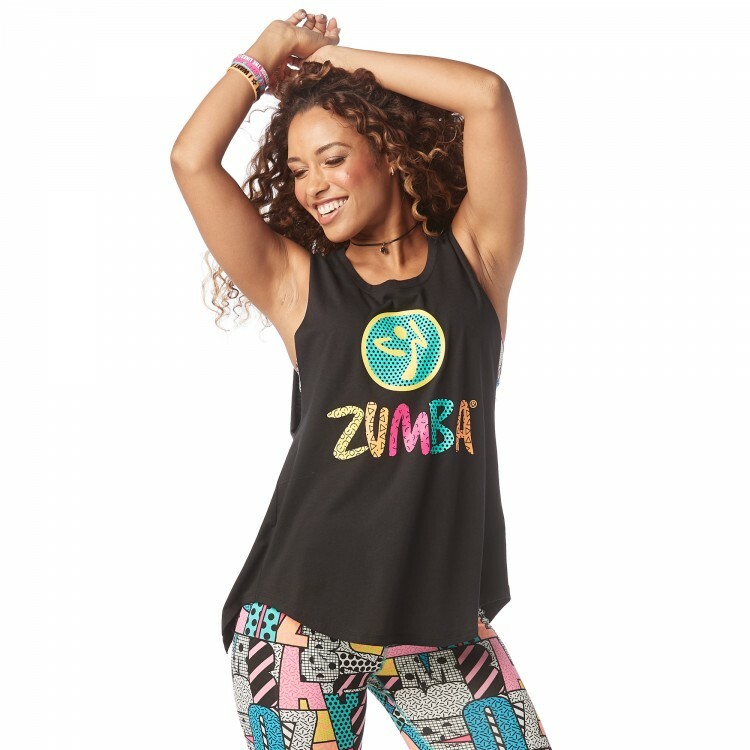 With an oversized Zumbito™ logo on the front, this top will definitely show which crew you're reppin'!